Quests - WAKFU Tutorials - Learn to Play - WAKFU, The strategic MMORPG with a real environmental and political system. 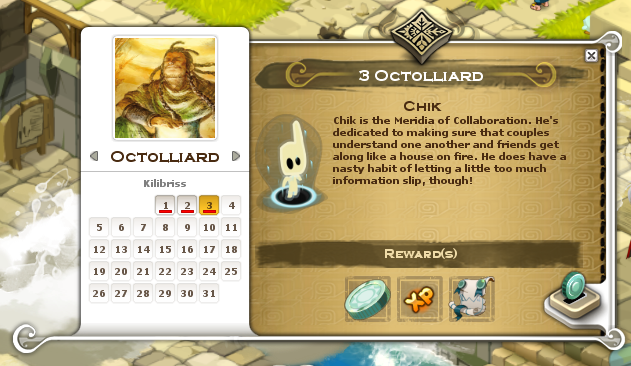 In WAKFU, you can follow story quests, in which a story is told to you by non-player characters who ask you to carry out various tasks. The quests on Chillberg Island and the Wild Estate are examples of story quests. Environmental quests are random quests specific to single regions. At any time, you might receive a game message informing you that a quest is beginning in the area you are in. Most of the time, the goal is to fight a set number of monsters within a given zone – but naturally there are plenty of other kinds that you’ll discover as you play! 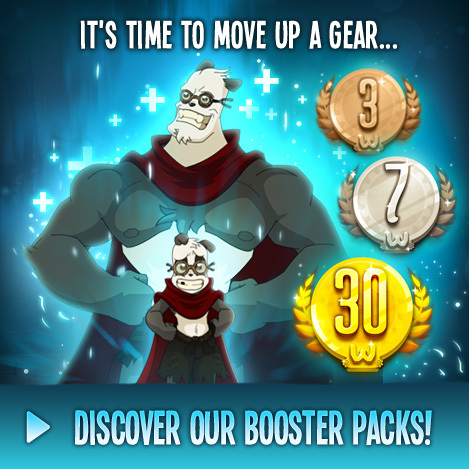 Attain different objectives in the game to validate achievements and reap the associated rewards. 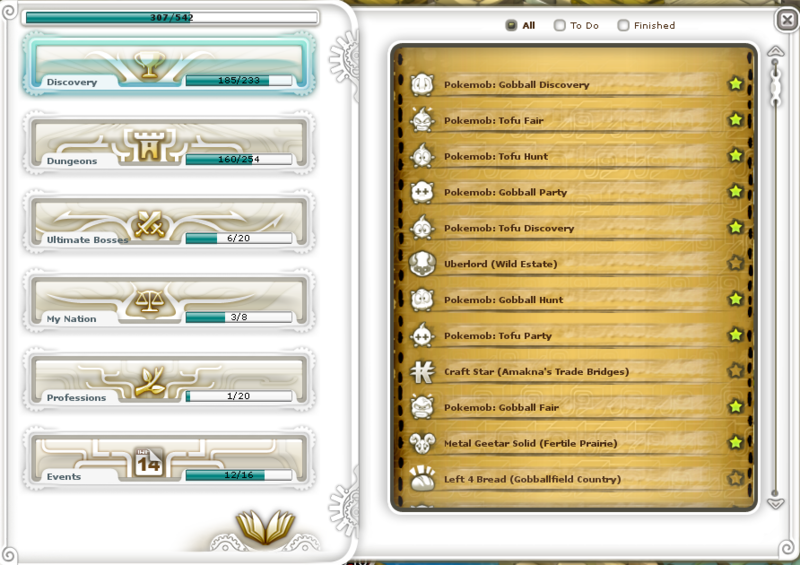 Some of them are hidden and others are public: you can consult your progress in the game interface using the “Achievements” button. Complete your daily Almanax quest by visiting the Temple of Scriptures in Astrub and praying to the Meridia of the day. Each visit will earn you an Almoken, a chunk of experience and a random bonus that lasts two hours. Almokens can be spent in the hall of the Temple on unique in-game rewards such as costumes.